Discomfort in one or more teeth that is triggered by hot, cold, sweet, or sour foods and drinks, and even cold air, is referred to as tooth sensitivity. The pain can range from dull and barely noticeable, to sharp or sudden and shoot deep into the nerve endings of your teeth. When the underlying layer of your teeth – the dentin – becomes exposed as a result of gum damage from disease or trauma, sensitivity can result. The roots of your teeth, which are not protected by hard enamel, contain thousands of tiny tubules leading to each tooth’s never center (the pulp). When stimuli, such as hot or cold foods and beverages, are able to reach these tubules, a nerve reaction is triggered resulting in the pain you feel. Brushing too hard – Over time, brushing too vigorously or using a hard-bristled toothbrush can wear down enamel and cause recession of gum tissue, exposing the dentin. Recession of the gums – periodontal (gum) disease and/or trauma can cause gum tissue to move away from a tooth, causing gaps or pockets which can expose the root surface. 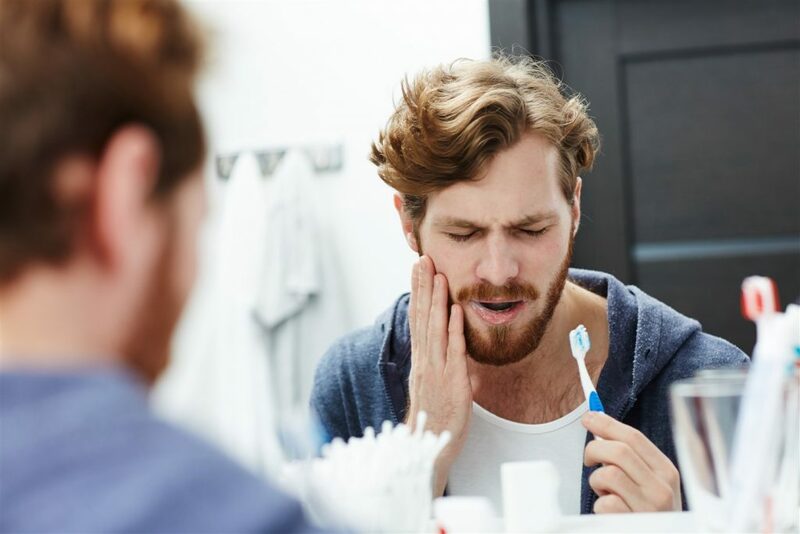 Gum disease (gingivitis) – chronic inflammation and irritated gum tissue may lead to sensitivity due to the roots being exposed as a result of weakened supporting ligaments. Cracked teeth – A chip or crack can leave a tooth vulnerable to bacteria entering the sensitive pulp, causing Inflammation and pain. Teeth grinding – Clenching or grinding your teeth (also known as bruxism) can wear the enamel and expose underlying dentin. Teeth whitening products – Some bleaching agents and whitening toothpastes are abrasive and can cause tooth sensitivity if not used correctly. Plaque build-up – If allowed to collect on the tooth’s surface, plaque becomes acidic and eventually hardens into tartar, eroding the tooth’s protective enamel. Acidic foods – A diet high in acidic foods, such as citrus fruits, tomatoes, pickles and tea, can cause enamel erosion over time. Some routine dental procedures – Mild tooth sensitivity can temporarily follow some dental procedures, such as teeth cleaning, crown placement, and restoration, usually resolving in 4 to 6 weeks. Maintaining daily oral hygiene, continue to follow proper brushing and flossing techniques to thoroughly clean all parts of your teeth and mouth. Using a soft bristled toothbrush will reduce the risk of toothbrush abrasion to the tooth surface and result in less irritation to your gums. Brush gently and carefully around the gum line to prevent damaging your gum tissue. Brushing with a toothpaste designed to reduce sensitivity. There are several brands of toothpaste on the market for sensitive teeth. With continued, regular use of a desensitizing toothpaste, you should notice a decrease in sensitivity. Try several different brands to find the product that works best for you. Being mindful of what you eat, and when. Frequent consumption of highly acidic foods can gradually dissolve tooth enamel and lead to dentin exposure. Avoid eating acidic foods before bed. Rinse with water after consuming acidic foods and beverages to remove as much residue as possible between brushings. Using fluoridated dental products, such as toothpaste and mouth rinse, can help decrease sensitivity. Ask your dentist about available products for home use. Addressing teeth grinding; consider using a night-time mouth guard if you grind or clench your teeth at night. Seeing your dentist at regular intervals for check ups and professional teeth cleaning is the best way to ensure optimum oral health over the long term. 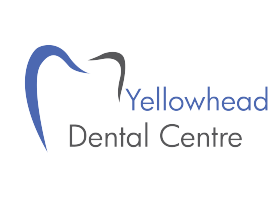 If you suffer from tooth sensitivity, come visit us at Yellowhead Dental Centre in Edson, we can offer you solutions for your sensitive teeth, many of which can be implemented in the comfort of your own home.